BACK ON MARKET - NO FAULT OF SELLER. Inspections are complete and repairs have been made. Cancelled contract was not due to inspections! Newly Remodeled Ranch! Newer roof, new paint inside and out, new furnace, C/A, new front porch and deck. Deck is 12'x23'. New carpet, tile, plumbing fixtures. Electric has been checked out. All garages turned into 4th bedroom, full bath and huge walk-in cedar closet. Barn approx. 20'x30'. Nice treed corner lot. Directions: I-49/71 Hwy to Peculiar exit. Take "C" Hwy south to 233rd. 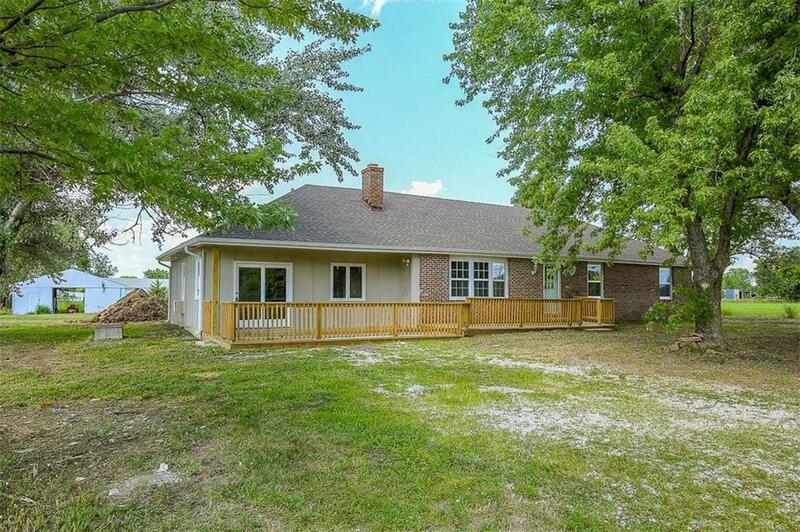 Go west approx 2-1/4 miles to property on north side of 235th Street.